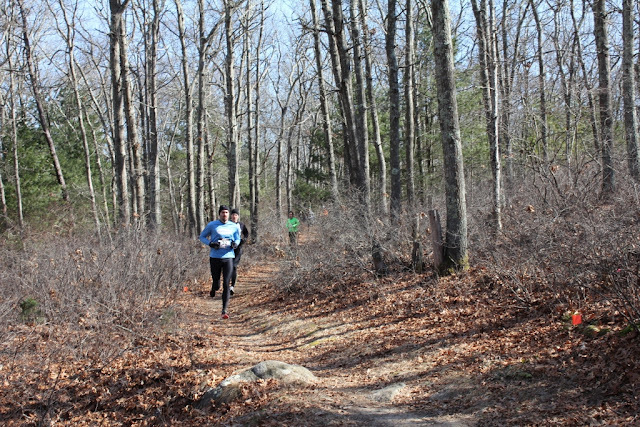 Greg Hammett is boss out on the trails as usual as he and CMS Men's Racing Team manager Al Bernier go 1-2 at the Brrr-lingame 15K trail race down in Charlestown RI. Greg is continuing his winning ways out on the trails and is setting himself up nicely for a PR attempt at DH Jones (which is NOT a PR course) at the end of the month. 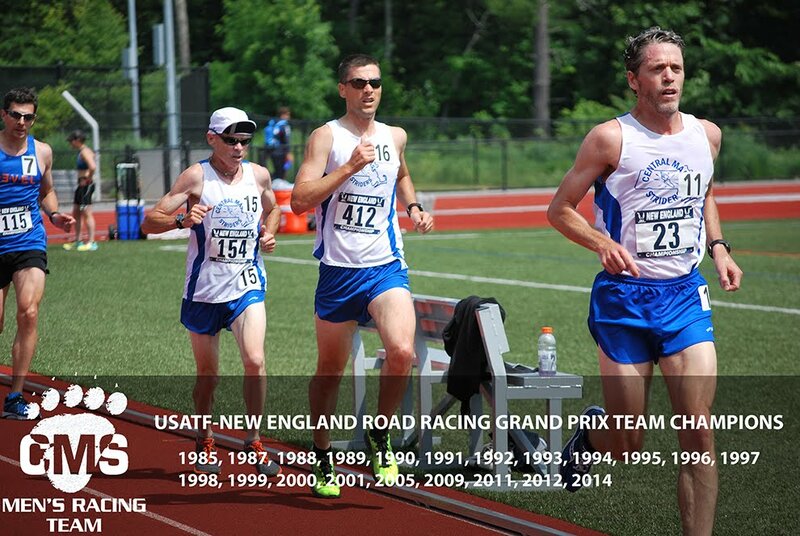 Tim VanOrden was busy jet-setting around the US, competing in the ESB Run Up on Wednesday and then the USATF Masters XC National Championships on Saturday. 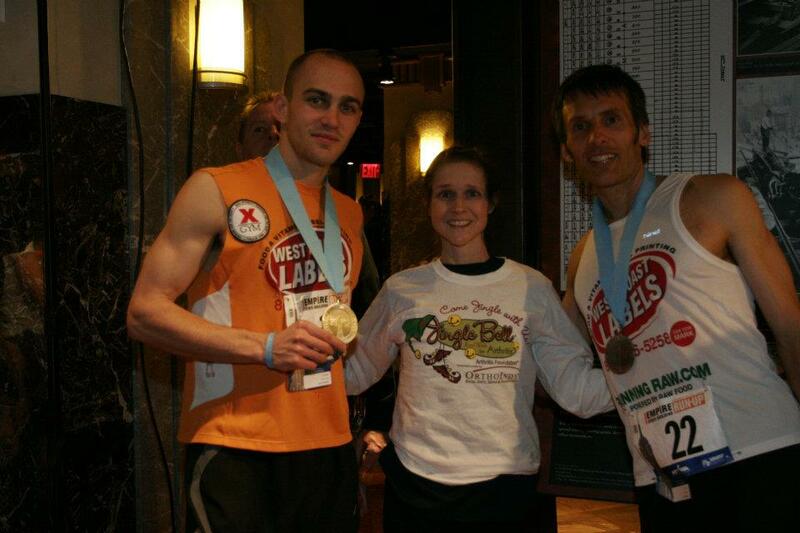 Tim is no stranger to national championships and big races. 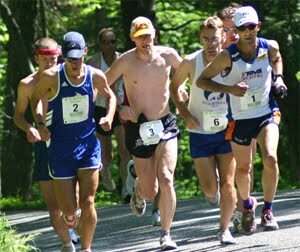 Tim was voted USA Masters Mountain Runner of the year last year and is continuing to target big races this year....all on a diet of green smoothies no less! The ageless Daniel Verrington was back on the podium with a strong run in his front yard at the Bradford Valentines 5 Miler in Bradford, MA. 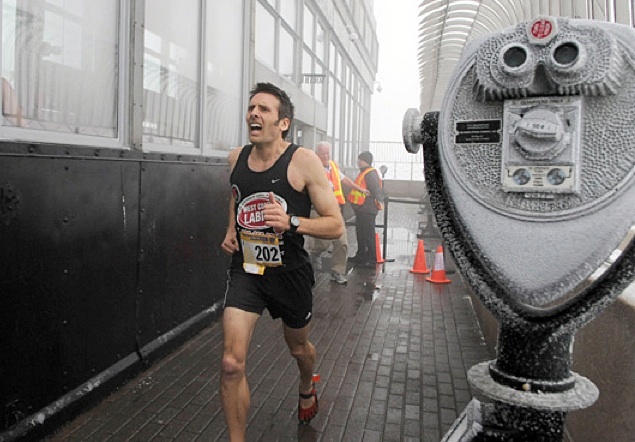 CMS' Tim VanOrden (Bennington, VT), who was named the 2011 USATF Masters Mountain Runner of the Year last year, had a strong week of racing as he tried to better his 4th place showing in last year's Empire State Building Run-Up but fell just short after being on PR pace for about 60 floors. Tim became ill over the last 26 floors and dropped back, but still finished a solid 10th place (results) down in Manhattan on Wednesday night. He then made his way out to USATF Cross Country Nationals in St. Louis, MO where he finished a stellar 12th place in the Masters Race (results) on Saturday. 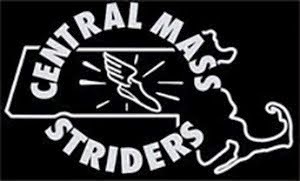 Former CMS runner Rusty Snow was 3 seconds out of the overall win and former longtime CMS runners Eric Morse and Dave Dunham also had strong races, finishing 21st and 22nd respectively.